Femme Meal®: is different to other fat loss products because it specifically considers the nutritional needs of women. The formulation contains essential oils in the form of safflower, pine nut and evening primrose oil and vital nutrients such as vitamin B6 that may reduce the symptoms of pre-menstrual syndrome (PMS). Additionally, it contains added iron, a key mineral for maintaining iron status in women. Protein: Femme Meal® contains suitable amounts of high quality casein and whey protein which are naturally derived from milk. Protein foods and particularly casein protein can help to promote fat loss by helping to restrict hunger. Casein has a slow rate of gastric emptying meaning you feel fuller for longer. Protein foods can also improve fat loss through an ability to naturally raise resting metabolism. The digestion of protein foods has a greater energy cost compared to fat and carbohydrate. Carbohydrate: Femme Meal® does not contain refined sugars that can cause undesired blood sugar and insulin fluctuations. Rapid fluctuations in blood glucose and insulin concentrations are best avoided owing to their deleterious effects on appetite/satiety, mood and fat metabolism. 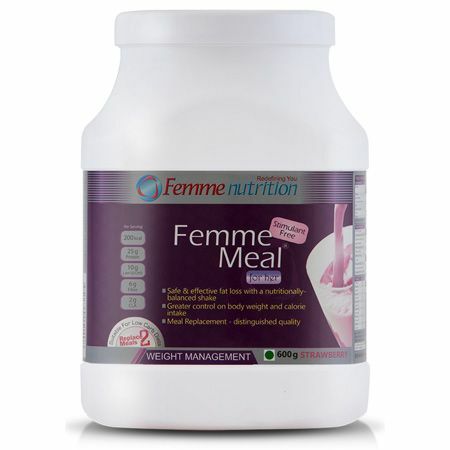 Femme Meal contains only low Glycemic Index (GI) carbohydrate (CHO) in the form of isomaltulose (Palatinose®) that is digested slowly supplying a sustained release of energy, thereby providing a lower but sustained rise in blood glucose. Fibre: Along with high-grade proteins, Femme Meal® contains Actilight® and Oat fibre that may aid digestion, improve gut flora and strengthen immunity. Fibre helps to control body weight, may reduce the risk of certain diseases and can help with the control of cholesterol. With two servings of Femme Meal®, you will satisfy almost half your daily requirement for fibre. CLA (conjugated linoleic acid) is a natural essential oil that will help to support your toning or fat loss goal. Femme Meal® contains the finest quality CLA powder (Clarinol®) that helps to naturally improve body composition, reduce bad cholesterol and improve fat metabolism. Omega-3 is a natural essential oil that supports brain and cardiovascular health. Omega oils have many positive biological benefits including the regeneration of cells, regulating hormonal balance and the production of healthy (HDL) cholesterol. Folic acid: (vitamin B9) is required for many biological functions in the body including the production of red blood cells and developing new proteins. Folic acid may also have a role in reducing the negative effects of PMS. 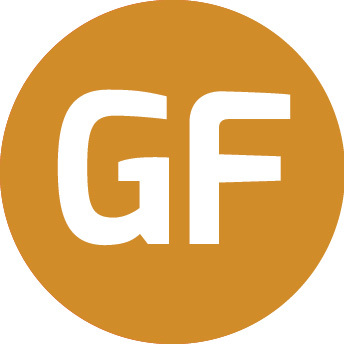 Femme Meal® is a registered trademark of ROS Nutrition Group Limited. Ingredients: Calcium caseinate (Milk), whey protein concentrate (Milk), isomaltulose (Palatinose®), medium chain triglycerides, fructooligosaccharides (Actilight®), conjugated linoleic acid (Clarinol®), l-glutamine, oat fibre, potassium phosphate, pine nut oil powder (Pinnothin®), flaxseed oil powder, tyrosine, green 50% ECGC + 70% catechins + 95% polyphenols, dicalcium phosphate, calcium carbonate, magnesium oxide, ferrous gluconate, ascorbic acid, zinc citrate, dl-alpha tocopherol acetate, nicotinamide, chromium chloride, manganese gluconate, copper gluconate, pyridoxine HCL, D-biotin, D-calcium pantothenate, sodium molybedate, sodium selenate, retinyl acetate, potassium iodide, vitamin K, thiamine HCL, vitamin D3 (cholecalciferol), riboflavin, cyanocobalamin, folic acid. Chocolate Flavour: Cocoa powder, chocolate flavour, guar gum (thickening agent), sucralose (sweetener). 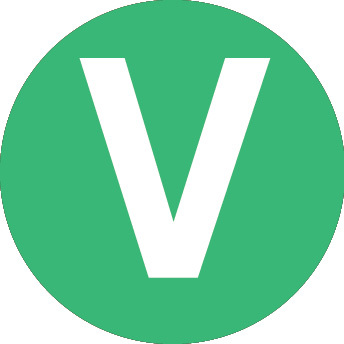 Vanilla Flavour: Vanilla flavour, guar gum (thickening agent), sucralose (sweetener). No artificial colours, flavours or preservatives. Suitable for Vegetarians. This product is gluten free. Biolo G, Tipton KD, Klein S and Wolfe RR. An abundant supply of amino acids enhances the metabolic effect of exercise on muscle protein. Am J Physiol 273: E122-E129, 1997. Volek JS, Forsythe CE and Kraemer WJ. Nutritional aspects of women strength athletes. Br J Sports Med 40: 742-748, 2006. Femme Meal® should be used to replace two of your daily meals or snacks in a calorie controlled approach. Enjoy a Femme Meal® shake for breakfast, followed by a sensible noontime lunch, another Femme Meal shake mid-afternoon and a nutritious meal for dinner. Femme Meal® can also be used to replace one other meal during the day if required. Mix one serving (1 serving = 60 g or 2 scoops) in 300 ml to 400 ml of water, shake well and serve. For improved taste, Femme Meal® can be mixed with 300 ml of skimmed milk; however, user should be aware of added calories from milk (see nutrient information panel).